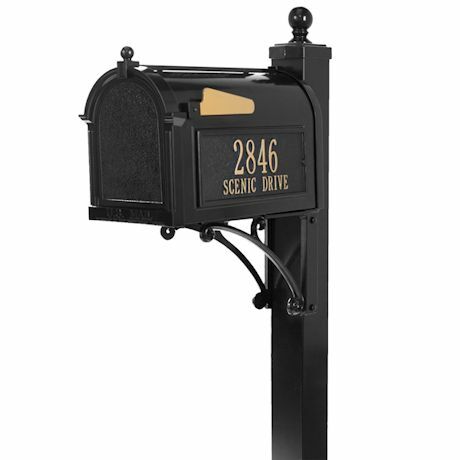 This personalized Whitehall Deluxe Capitol Mailbox and Post Package marries function and fashion in a truly classic design. 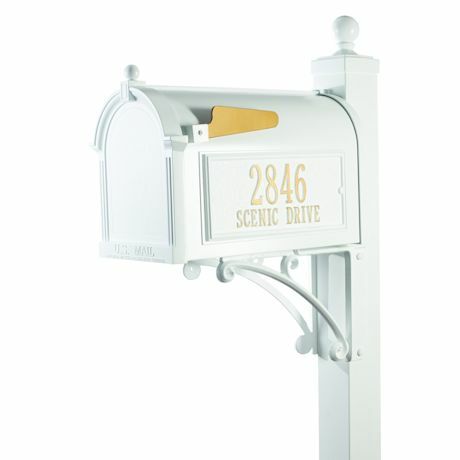 A simple way to display your address while enhancing curb appeal to your home, it is 20% larger than a standard mailbox! Magazines lay flat in the generous interior. 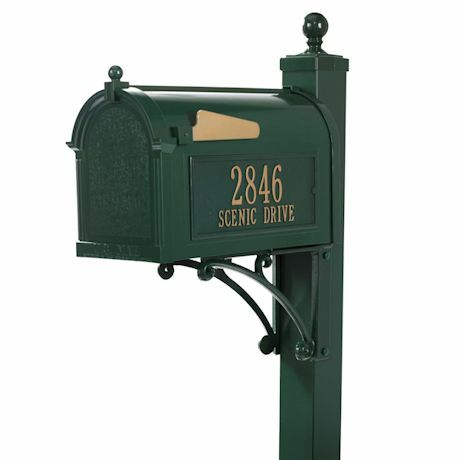 Mailbox and post are manufactured from sand cast, high-density aluminum alloy and treated with Whitehall's famous Alumi-Shield, protecting against the harshest weather and environmental elements. It extends the product life and maintains the look and function for years to come. Choose from black/gold, French bronze, or white/gold. Mailbox measures 9.625" x 13" x 20.375", post measures 54" tall. Specify street number up to 5 numbers and street name up to 16 characters. Allow 3 weeks for delivery. No rush or overnight orders. 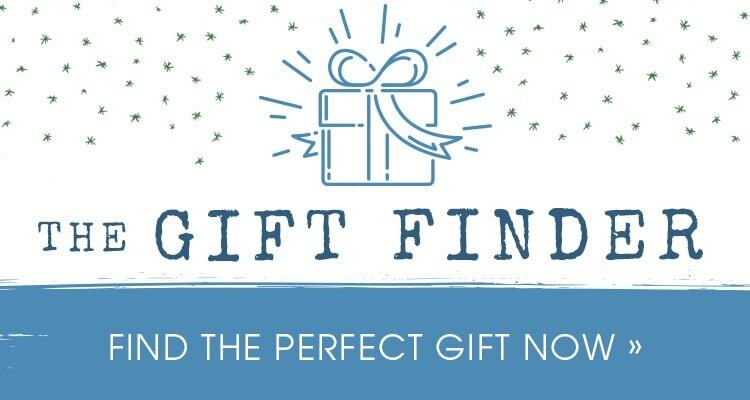 No gift wrap available.